Back in 2017 while studying BA Theatre and Performance Practice at London Met, Iza Porumbu entered the Big Idea Challenge with her own BIG idea Anger Rooms. The concept was to give customers the time and space to relieve their stress by smashing things up in a safe environment. Competing against hundreds of other applicants from London Met students, alumni and staff, Anger Rooms made it into the Big Idea Challenge finals in the creative category. Looking to continue her idea after Big Idea, Iza secured a place on our intense Launchpad programme to understand her business and customers. What have you been up to since Big Idea? Since the Big Idea Challenge, I moved out of London and to Warwick for a year. There, I worked as an actress, a school teacher and junior executive recruiter. In May I decided that my chapter in the UK should end and so I have moved back to Romania in order to create my own projects both as an entrepreneur and an artist. What is Smash Room? Is this the same as Destruction Chamber? Yes, Smash Room is the same concept as Destruction Chamber. The new business name seemed more appropriate in Romania. Why did you decide to start Smash Rooms in Brasov? The concept of a ‘Smash Room’ is still new to Romania as we only have one other in Bucharest. We decided Brasov as it has started to become a very popular place in Transylvania for tourists. Statistics say we have 1.5 million tourists per year in Brasov. But there are not many tourist attractions, so Smash Rooms aims to be a unique way of spending your time here. Brasov is growing year on year, with many people deciding to move here so the local community could definitely benefit from an active stress relief and entertainment opportunity. What could we smash at Smash Room? Who’s in the Smash Room team? The Smash Room team is made of myself and two brilliant Sebastian’s (as they both have the same name) who are very talented within IT and graphic design. I am in charge of the social media, PR and communications, sales and finding new customers and corporations to come in. We make a great team because we all have an entrepreneurial spirit, we are willing to take risks, in love with the idea and we complete each other. If I could compare it to the theatre, I’d say they are great backstage and creating the show and I come in to deliver and perform the show. 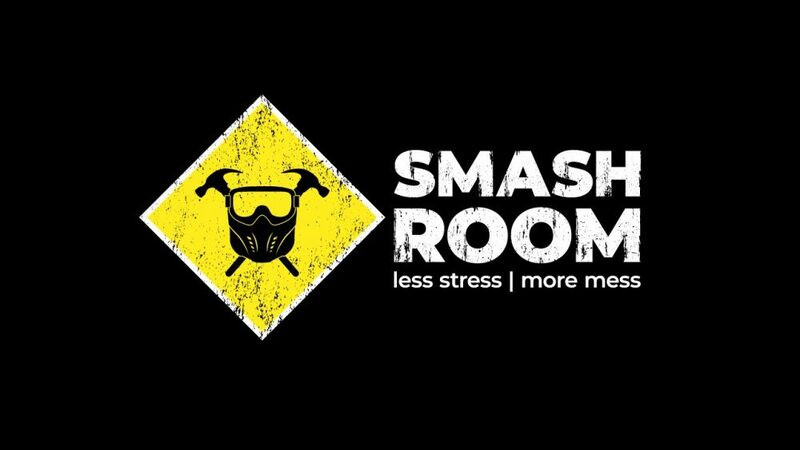 How many Smash Room customers have you had so far and what has the feedback been like? The Smash Room has only been open for two months now, so we are very new in town and many people don’t know the concept yet. We have had customers that heard about us from social media and we are working hard to promote the company with special events and team buildings for companies. Quite a few managers of companies are interested in our services for their teams. The feedback has been very positive from all of our customers, they really love it! Recently we were featured by Știrile Pro TV a Romanian news channel who made a news.